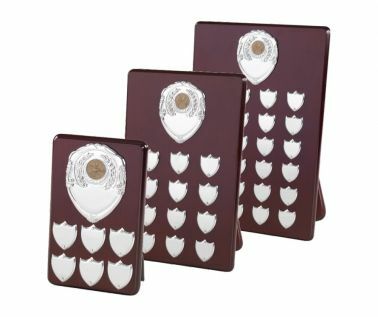 This Perpetual wooden plaque is available to order in four different sizes, ranging from 8" to and impressive 16.25" tall. 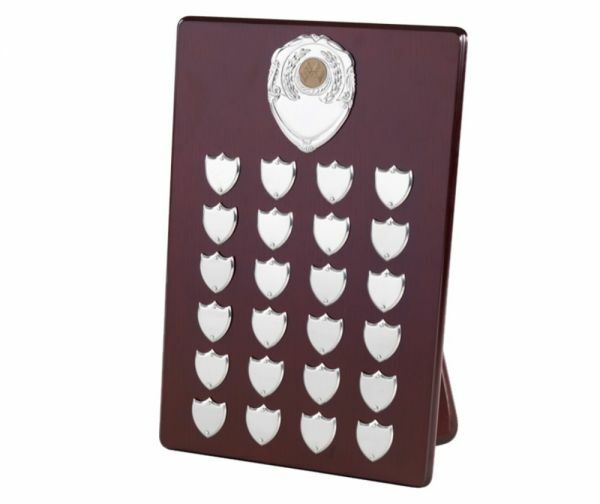 Shields come complete with a support strut allowing it to be displayed free standing or wall mounted.. 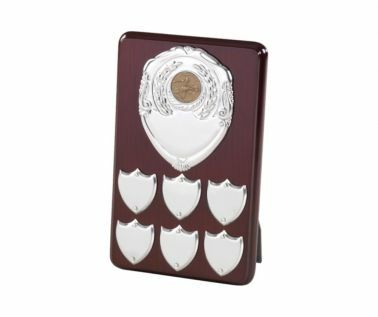 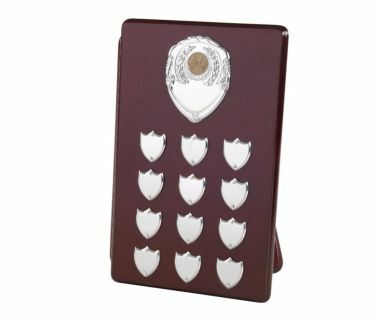 Featured on the plaque is an attractive large shield with an ideal area for our engravers to put the name of the competition or your logo. The smaller shields are all suitable for engraving with the winners names. This award is fantastic value for money. Ideal for any regularly presented achievement or competition.